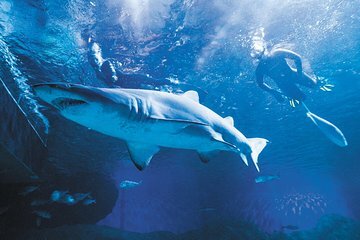 Enjoy a guaranteed shark encounter as you plunge into the warm waters of the Aquarium of Western Australia (AQWA). Mingle with seven different shark species, plus turtles, stingrays, and a wealth of fish as you snorkel with our qualified divemasters in a group no larger than three. Start with a comprehensive briefing; leave with a certificate.